Roulette, meaning little wheel in French, is a casino game that has been popular since eighteenth Century France. In this game players choose to place bets on a single number or groups of numbers. They can also choose from the colours red or black, odd or even numbers or place a bet on the low numbers, one to eighteen or high numbers nineteen to thirty-six. A croupier spins the wheel in one direction, then he or she drops the ball in the wheel in the opposite direction. When the ball loses momentum, it lands where it wants to. 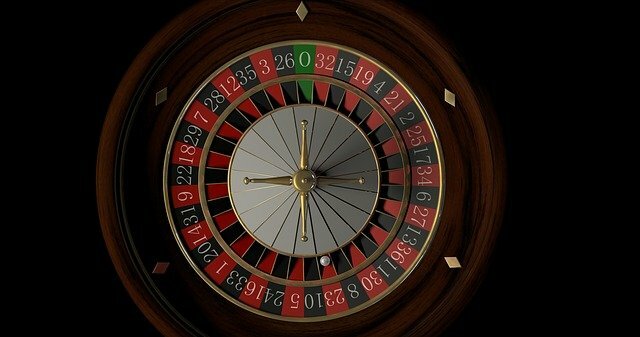 This is Roulette with a difference, but for seasoned Roulette players, nothing changes, all the usual Roulette bets are still in play. For some extra dimension, added features will enhance this popular form of gambling. With lightning Roulette, there are extra chances to win with lucky numbers and payouts. The setting is magnificent. Black and gold Art Deco adorns the wheels and lightning strikes create the right sort of excitement. In each game round, between one and five lucky people are dramatically “struck by lightning” and given multiple payouts of between fifty and a hundred times their original wager. According to Todd Haushalter, CEO for Evolution, Lightning Roulette will without a doubt become very popular as everyone who has seen it was left speechless. Mr Haushalter continued to say that this product is one of the most complex ever undertaken. He confirmed that players will be struck by lightning and receive massive payouts. To do this they combined digital random number generators with the Live Roulette wheel, which has never been done before. Evolution will also premier its Salon Privé for it’s VIP clients, a luxurious way to play a collection of Roulette and Blackjack games. Evolution Dragon Tiger is a distinctly different card game, yet simple. The environment is stunning and the light effects synchronised with game outcomes. Evolution Dragon Tiger is super fast and takes twenty five seconds to play. Just two competing cards are dealt, one to the Dragon and one to the Tiger, and players bet on which card will be the highest or if a tie will result. Kings are the highest card and Aces are the lowest. There’s no easier card game to play, but there’s enough so much to keep players engaged. Evolution Dragon Tiger can be played on all devices with the added option on a mobile phone to be played in portrait or landscape. Baccarat is a very popular casino game and especially in Asia. It is a game with mystique unlike anything else you will find in the casino. While the betting and strategy are very straightforward, the actual gameplay elements can be a bit daunting. Baccarat is a card game with a dealer who deals the cards from an eight deck shoe. The object of the game is to determine whether the player or banker will win in each round. For players who have never played Baccarat before, this is an excellent opportunity to try it. Over the years Gaming companies and Casinos have tried to draw in the inexperienced player but haven’t been able to. No Commission Baccarat is another attempt at proving just how entertaining this game can be.